While there have been many recent encounters with a large winged creature near the shores of Lake Michigan, the Chicago Mothman is not the first of its kind. The mothman started terrorizing the small West Virginia community of Point Pleasant 50 years ago, when a series of bizarre sightings and other mysterious phenomena culminated in the disastrous collapse of the Silver Bridge on December 15, 1967. Cars plummeted into the icy waters of the Ohio River and 46 lives were lost. The people of Point Pleasant revisit the strange events of 1966-67 every year with the annual Mothman Festival, which includes guest speakers, film screenings, tours of areas where the Mothman was sighted, and more. This year’s festival will include talks from a handful of Wisconsin’s top paranormal researchers, including Chad Lewis of Unexplained Research and Allison Jornlin of MilwaukeeGhosts.com, recipient of the 2016 Milwaukee Paranormal Conference’s Wisconsin Researcher of the Year award. Seth Breedlove, director of the upcoming Bray Road Beast documentary, will also be there hosting a screening of his Appalachian Monsters films, including The Mothman of Point Pleasant. 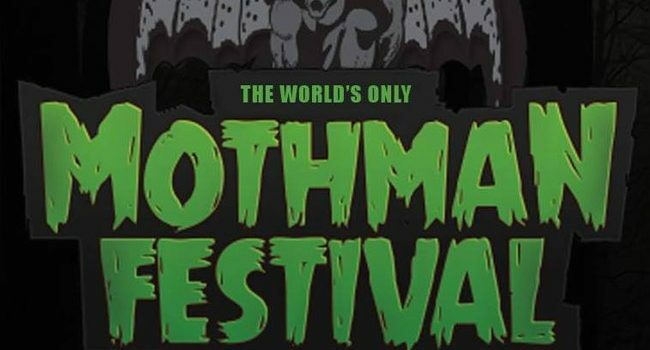 The 17th annual Mothman Festival is happening September 15-16, 2018.